Hi all I have created this fundraising page to raise funds for my son Ethan to have essential treatment at Alder Hey Hospital in Liverpool, please read on for more details. 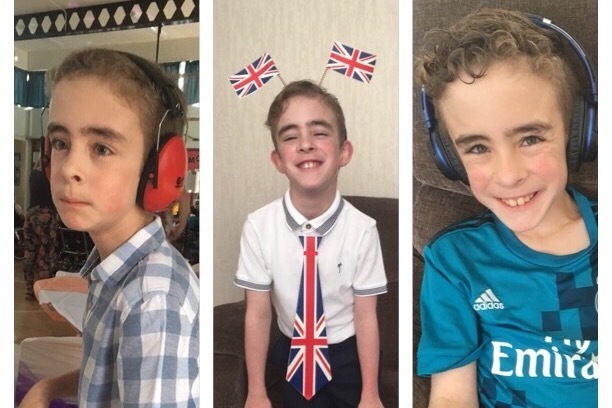 Ethan has cerebral palsy and struggles with his walking and basic day to day things like holding a knife & fork properly, brushing his teeth and going the toilet etc. When he was first diagnosed with cerebral palsy we were told that he would never be able to walk or talk but with his own determination and hard work he started walking at the age of 5 and his speech is so good that he is constantly making up stories in his own special way. His walking on the other hand is very restricted, he can walk for a maximum of 5 minutes then his energy levels drain and is then required to use his wheelchair. Today (17/07/2018) we were told that to help Ethan with his walking that he is required to have two procedures which may also help with the day to day problems but will definitely give him a better quality of life. Unfortunately the first procedure Ethan requires only receives NHS funding for children aged between 5 and 9 years of age and with Ethan now being 11 years old we have to fund the procedure ourselves. The amount we need to raise is £21000 for Ethan to get this treatment. The second procedure will be funded by the NHS. We are already planning various fundraisers as well as creating this page but even if you don’t donate could you please share our page. If it reaches 21000 people who can donate £1 then we’ll reach our goal. The response already has been amazing and we thank you all for that. Remember every penny counts and we want to thank you in advance for any future donation that is made!